As the American Award Season kicks off and the stars grace the red carpet in their best designer frocks, we look into Mzansi's celebville and see if we have anything to look forward to when our Awards season comes along. One of the things that has always bothered me about the entertainment industry is the fact that our celebs never really make an effort when it comes to dressing up for the awards shows. With american award season in full swing and the biggest buzz being about who is going to be wearing what on the red carpet, I find it sad that when we have our own awards we hardly have nothing to look forward to. It's bad enough that our award shows are hardly ever shown live on tv but most so called “entertainment shows” hardly ever cover the red carpet effectively. There is never some excitement about, who-is-going-to wearing-what or which designer featured the most on the red carpet. Designers like Thula Sindi and David Tlale have been dressing SA celebs for years now but one never really gets to know which dresses the celebs are wearing are by these specific designers. There is definitely a void in the market for designers to showcase their designs on the red carpet and have the public know about their creative works of art. With that we look at few celebs who never disappoint when it comes to dressing up for the red carpet and for that we can now solidify their status as STARS. Lira is one SA artist who understands that to be a success in this businesss is more than just about your talent. The effort that goes into putting on her shows and the effort that she makes on the red Carpet is commendable. Love or hate her, Khanyi is one of the very few people in this country that photographers look forward to seeing on the red carpet because they know she will be wearing something worth talking about. She is the quintessential red carpet diva. A lot of guys in SA never even bother to follow the dress code to any event but Stoan always tries to look the part. Well ... it doesn't hurt that he looks good in a suit as well. We give props to him for keeping the red carpet interesting by playing his part. Now can he please advice his friend Speedy on a wardrope change? That look he is been rocking has long passed its sell by date now. Enough now, even Sisqo has retired that silly look. Need I say more? Every event that Bonang attends becomes a red carpet must see. 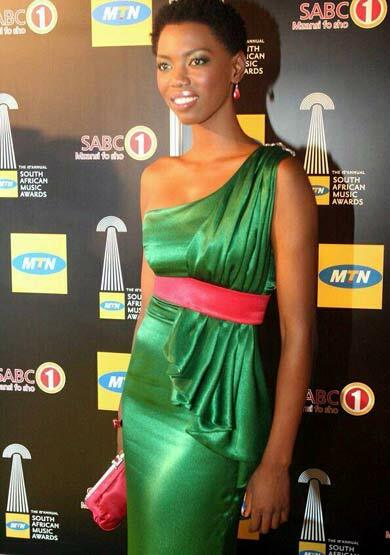 Thanks in part to her friend and designer, Gert-Johan Coetzee. The bubbly tv and radio personality always looks stunning. She is not shy to dress that hot gorgeous bod of hers to the 9s and we love her for it. 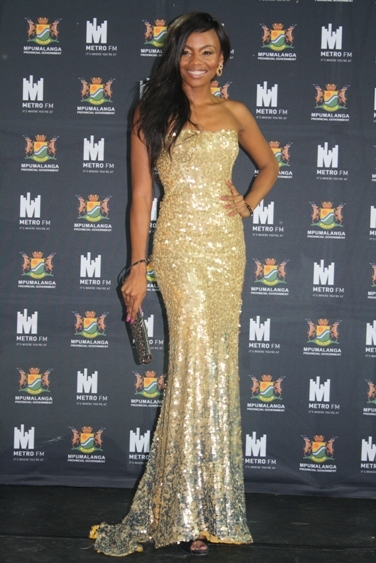 You always know that come award season Bonang will be the Belle of every Ball. 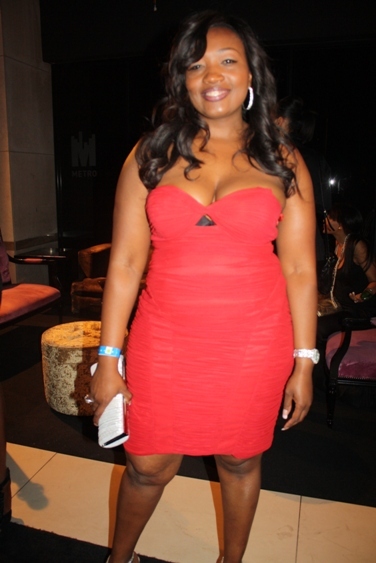 She has been critisized for being at every party in Jo'burg but she reatliated by reminding the haters that she runs an events planning company so she needs to keep abreast with what is happening on the social scene to keep her business afloat. We are not really complaining as every time the Generations star rocks up on the red carpet we are mesmerised. Not blessed with your conventional media driven beauty, Sophie posesses the kinda beauty that needs a full package to blossom and we must say, she does it oh so well. Siya is not a regular feature on the red carpet but on the few occasions that we have seen him strut his stuff we've been very impressed by his quirky style. It's the effort that counts, right? A relatively newcomer at this, Dineo, has proven that african beauty is very relative and subjective. A risk taker when it comes to style, she has been "one to watch" recently on the red carpet. Though she doesn't always get it right, we love that she does not conform to the norm but goes for what she feels comfortable in without looking like she was going to a store and took a detour via the red carpet. The ever radiant and glamorous Uyanda is a pro at this game. She has been gracing the red carpet with her presence for years now. Though has style has matured and gotten more chick over the years, Ms Mbuli has never lost that flare for the perfect red carpet look. She is one of the top people on the list of celebs who always adhere to the dress code. She has even turned her love for fashion and glamour into a business. She almost never attends celeb events but when she does she always looks like a million bucks. 'Nuff said!! I personally didn't like her Oscar dress but Terry has been a hit on the red carpet. The beautiful actress knows how to dress her body and after seeing her recently I have to say we have a lot in store for us because she looks amazing. I think she might have lost some few kilos or she has been toning up in the gym. Wow... can't wait to see her all dolled up for the red carpet. The king of suave. 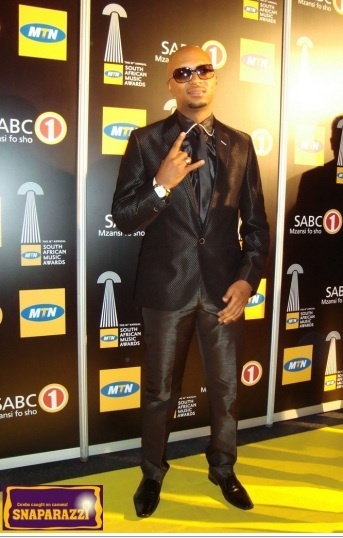 Really now, who in SA does red carpet swag like Sizwe? The brother always oozes sophistication with a dash of menace with every look he adorns for the red carpet. Might be a bit of stretch but one can be forgiven for giving Sizwe credit for bringing some class among the fellas when it comes to dressing up for the red carpet. 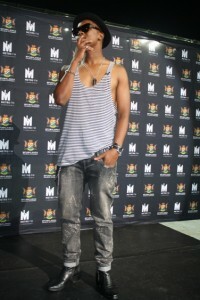 For years we have been seeing guys in T-shirts and all stars until Sizwe Dhlomo came along. Big up to him! Our fav couple on the red carpet. The Mosese always look well put together. We haven't much of the lovebirds these days but we hope to see more of them this year. 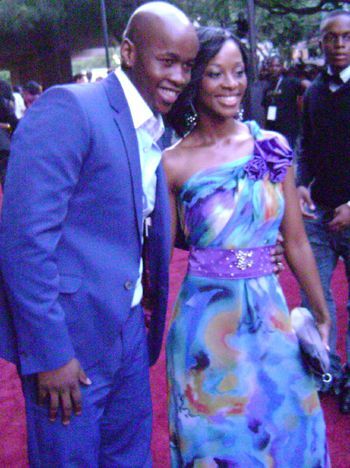 We'll see what this year holds for Mzansi's Red Carpet. Hopefully as the industry grows more and more celebs will take the red carpet serious and have more designers dress them. This will work for everybody. There more variety of talent and names of designers we see on the red carpet, the better the industry will be. We love, David Tlale, Thula Sindi, Gert-Johan Coetzee, etc but if they are the only names we going to hear and see on the red carpet then the industry will become stagnant and boring no matter how great their garments are. Variety is the spice of life. We also wish that more young new faces in the industry would make an effort when it comes to dressing up for the red carpet especially the guys. You do not need a R12 000 Armani suit to look good. A reasonably priced suit by a local designer will still get you noticed. If the designer is smart enough to invest in some free PR he/she might even dress you for free. Not all designers get a chance to showcase their designs at Fashion Week so the red carpet is the perfect platform for them to show off their talents.